Purtrex PX05-9 7 8 Sediment Filter is a 10" x 2.5" 5-Micron Replacement Sediment Filter with increased dirt-holding capacity that results to high purity and an extended filter life. This Purtrex Sediment Filter provides optimal reduction by capturing particles throughout its entire filter depth using its true-graded density filter matrix. Its filter construction translates to longer life and fewer replacement cycles compared to string-wound or resin-bonded filters.This unit is a 100% pure polypropylene depth filter. PX05-9-78 Purtrex filter is produced through GE’s patented melt blown microfiber technology and made from thermally bonded microfibers that capture particles as small as 5 microns in size. 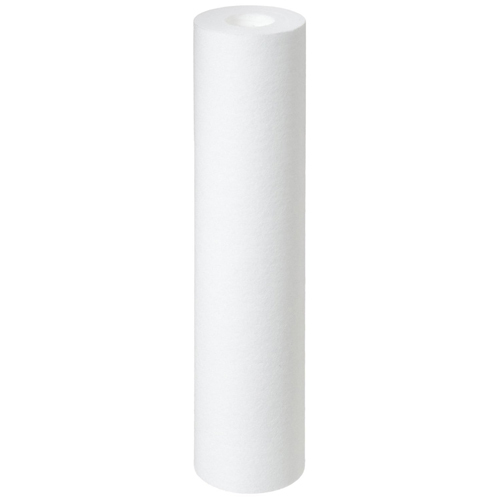 The filter cartridge fits industry standard compact housings that use 2.5-inch x 10-inch replacement filters and is used in a long list of products by different manufacturers. Typical applications are potable water filtration, chemical filtration, Amine filtration and Plating baths. GE filter cartridges are designed and manufactured for resistance to a wide range of chemical solutions and certifies that it uses no resin binders, lubricants, antistatic or release agents or other additives in the manufacture of these cartridges. Conditions will vary with each application and users should carefully verify chemical compatibility. Removes particles above 5 Microns in size. Versatile and Reusable, allowing a variety of uses. Compatible with several brands' water filters. Incinerates to trace ash for easy disposal. Meets FDA Title 21 requirements for food and beverage contact. Will vary depending on water quality and usage. 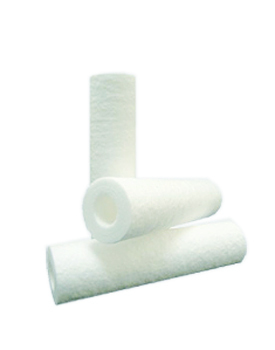 - Resin used for manufacturing the filter media meets the food contact requirements of the U.S. FDA 21 CFR regulations. - GE Osmonics filter cartridges are designed and manufactured for resistance to a wide range of chemical solutions. Conditions will vary with each application and users should carefully verify chemical compatibility. Please call for more information.